South Korea’s largest carmaker carried out a drastic executive reshuffle Wednesday, with the heir replacing his father's close aides with young CEOs and a foreign engineer, seeking immediate change within the 51-year-old conglomerate. 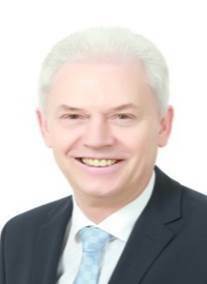 In the sweeping reshuffle, led by Hyundai Motor Group Executive Vice Chairman Chung Eui-sun, the group appointed former BMW chief engineer Albert Biermann as its first foreign head of research and development. The 61-year-old German engineer who previously led BMW’s high-performance M division, replaces two vice chairmen -- Yang Woong-chul and Kwon Moon-sik -- who led the carmaker’s development in future technology for years under Chairman Chung Mong-koo. The announcement instantly excited the market, raising its share price by 7 percent to 119,500 won, as of 1:30 p.m. Before placing Biermann to Hyundai Motor’s top R&D unit, the executive vice chairman has hired a list of foreign executives in recent years, to make the structure of the company on par with its global reputation and break the dominant leadership of Koreans. The company appointed Thomas Schemera, also a former BMW executive, to lead product planning while naming Luc Donckerwolke, a former Bentley design chief, as head of design at Hyundai and Kia. Other top rank executives who had assisted the chairman for decades, meanwhile, have been promoted or moved to affiliates. Vice Chairman Kim Yong-hwan was named to lead the carmaker’s steelmaking affiliate Hyundai Steel, while President Chung Jin-haeng, who oversaw the group’s communication and government affairs, will take the charge of its construction unit, Hyundai Engineering and Construction, as vice chairman. Vice President Kong Young-woon of communications replaces President Chung, the company said. For years, the 80-year-old Chung Mong-koo has held absolute control over the group’s executive reshuffles, and it is the first time that his 48-year-old son has exercised a full authority on the organizational change. Chung is the chairman’s only son and was named executive vice chairman of the group in September. Industry watchers also said that Chung was seeking to tighten his grip on power and achieve a “complete” generational shift in his father’s empire in the face of growing concerns over the carmaker’s loss of competitiveness, plunging profits and share prices. The company also promoted former Samsung Electronics executive Chi Young-jo as president of the group’s strategic technology division, saying that it will expand “strategic investment” in the future mobility sector -- an area that encompasses smart cities, robotics and artificial intelligence. “The decision was made in line with Hyundai Motor’s will to promote global talent in order to strengthen the company’s future competitiveness,” it said in a statement. Meanwhile, former Hyundai Steel Vice Chairman Woo Yoo-chul was named vice chairman of Hyundai Rotem, the group’s locomotive manufacturing unit. Park Jeong-guk, until now the president of Hyundai Kefico, now heads Hyundai Mobis, the group’s parts-making affiliate, the company added. The announcement was made a day after the company set its future on hydrogen cars. 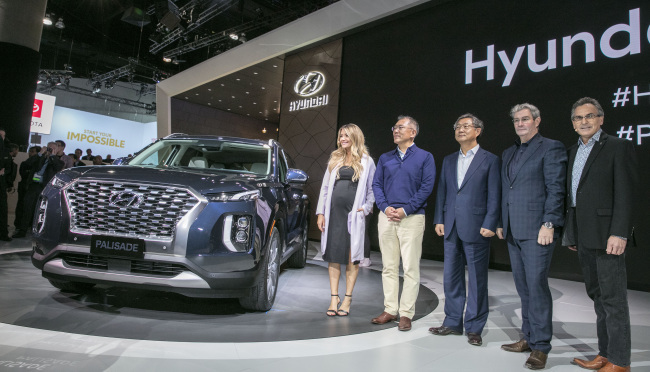 Hyundai, a global leader in hydrogen technology -- lesser known in the green car segment than electric vehicles -- vowed to make 7.6 trillion won investment to manufacture 500,000 units of hydrogen cars a year. “Chung appears to be in a bit of hurry as he carried out the annual executive shakeup two weeks in advance than previous years and it was carried out a day after he vowed to make considerable investment in hydrogen. I think he was thirsty for change and innovation,” said Park Ju-gun, head of CEO Score, a local corporate tracker. “The executive vice chairman’s move signals that he might propose a governance restructuring scheme shortly and take a plan enough to convince foreign investors,” he said.